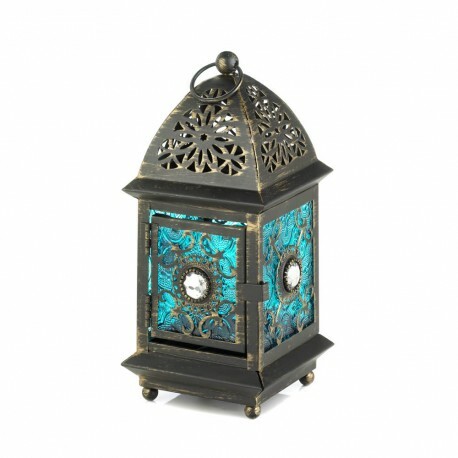 Let this dramatic lantern be the crown jewel of your mantel or tabletop. 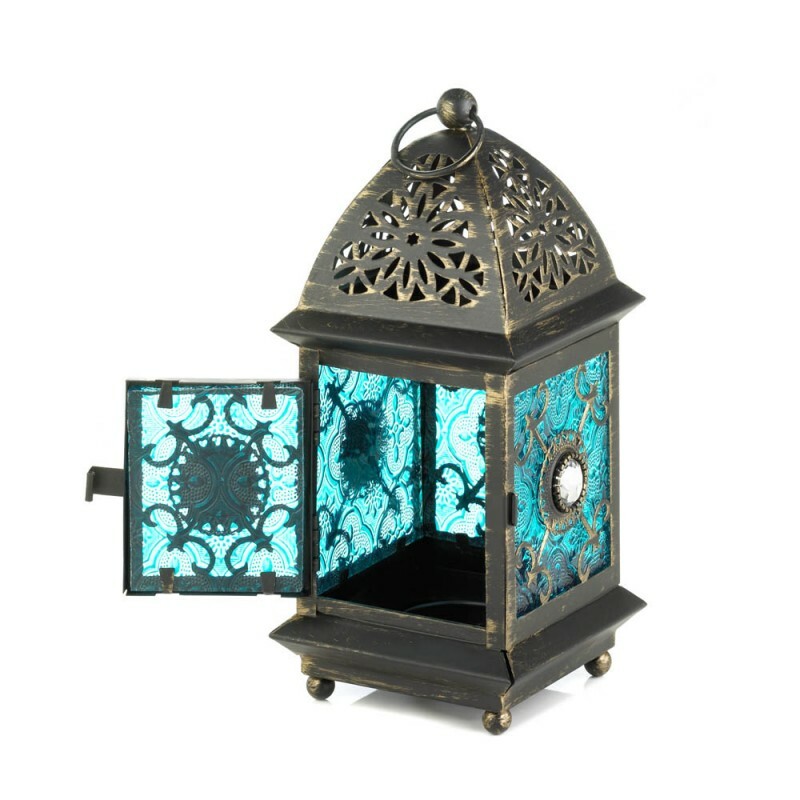 The iron framework features intricate cutouts that turn candlelight into a designer light show, and each glass panel is embellished with a gorgeous clear jewel. 3¾" x 3¾" x 8¼" high; 9" high with loop.